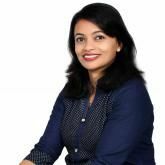 A double M.Sc and MBA (Marketing), Ms. Ivy Chakraborty has worked in the Corporate sector as a Personality Development and Soft skills Trainer for 6+ years. Her Journey within started as she lost her dream job in a lay off in 2013. Her relationships were in turmoil and she was diagnosed with PCOS and Hypothyroidism in the same year. Doctors cited stress as the prime cause of her health issues and treatment just seemed to not affect her at all. It was then that she started meditating and going for therapy sessions. Her life was completely transformed. As she started de-cluttering her inner self, the world outside seemed to perfectly align itself in harmony for her. The effect of healing was so profound that the healed decided to become a healer. Since then she has been studying all about the mind and how it affects our health, wealth and relationships, under gurus and mentors across the globe. She finally realized the law of cause and effect and how she could take charge of her life through a shift in thoughts and emotions. She is on a mission to touch millions of lives across the globe and transforming them to be the best versions of themselves. As a life coach, she helps her clients to bridge the gap between where they are and where they want to be. According to her "The greatest waste on earth is the unused human potentials. We, humans, are blessed with tremendous power to achieve anything we want. We just need to explore this power within and put it into use ." She helps her clients change their perception so that their lives become filled with vitality, enthusiasm, and bliss.